AAU is the Amateur Athletic Union gymnastics program which is a team that practices approximately 2-3 days per week. These gymnasts compete in 4-5 competitions in the greater Chicago area (possibly 1 out of state meet in a surrounding state) including a state competition. 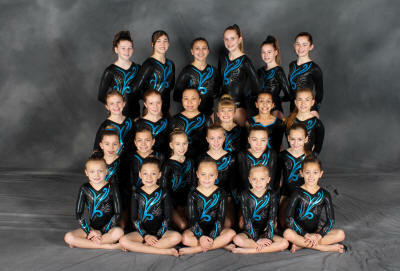 Many of these gymnasts will continue their gymnastics career at their local high school when they are old enough.